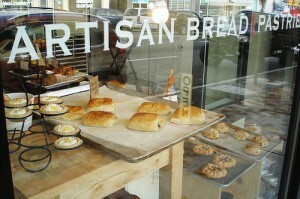 Artisan-made breads – and now books! In his book APE, Guy talks about “artisanal publishing” as a process that features writers who love their craft, and who control every aspect of the process from beginning to end. In this new approach, writers are no longer at the mercy of large, traditional publishers, and readers will have more books to read. The self-publishing world has eradicated the filters and barriers that the traditional publishing world represented (where editors – typically male — made the judgments about content and worthiness). 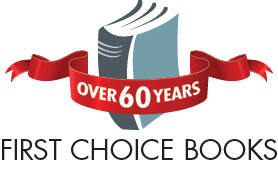 In the old days, the imprint of the publisher was a proxy for quality – if you were accepted by the publisher, you passed the test. Now the proxy for quality is how your book fares in terms of reviews and ratings on Amazon, and sales. Customers vote on the book’s quality or on their need to expose themselves to your material by clicking to purchase, or not clicking. Guy explained that when readers contemplate buying your book today, they often don’t even notice the publisher. They look instead at the ratings and reviews received by the audience. What’s key in artisanal publishing is that you start with a good book, and then market the book with everything you’ve got. Marketing a book for many would-be authors is a daunting task, and thousands of self-published authors are ignorant of what’s required to get the word out (or they detest the marketing process altogether). In the end, if you want to be a successful artisanal publisher, you have to be willing to market. To further the artisanal analogy, think of an artisanal baker. Do we think s/he is an entrepreneur? Absolutely. She is making the bread, selling it, distributing it, etc. Would you ever go up to an artisanal baker and ask, “Is the reason why you have your own bakery that you didn’t get accepted by a large national baked goods manufacturer?” No. We don’t even think of that question. Guy is hoping that artisanal publishers will soon earn the same respect and merit as other artisans. Great advice from an entrepreneurial thinker! The books looked great! Thanks for turning them around so quickly, and putting so much care into the quality and aesthetics of the binding.